Thankfully, chronic bad breath or halitosis can be cured. This condition is a common problem affecting millions of people in the US alone. Some resort to mouthwashes and mints to mask their stinky breath. Others have stopped hoping there’s cure for it. The majority of sufferers experience a massive buildup of bacteria on the back of their tongue causing halitosis. Sufferers endure a lot of volatile sulfur compounds (VSCs) in their mouth after those harmful organisms break down the protein. VSCs are some of the causes for having offensive breath. Before a chronic bad breath is cured, it has to be diagnosed first. Unfortunately, not all dentists know how to detect halitosis and identify proper treatment. At Heritage Trace Dental Office, we have a tool that can detect the VSC levels in your breath to confirm halitosis. We also offer appropriate treatment to end your breath problems finally. Most sufferers are anxious to find a cure for their breath issue. The most popular way to combat is the use of toothbrush and mouthwash. Unfortunately, it doesn’t actually solve the problem. The reason for this is that the brush can’t reach your tongue’s back where the bacteria-causing halitosis reside. And, as previously mentioned, mouthwash may give you fresh breath, but it doesn’t get rid of the bacteria. That said, your stinky breath remains after the effect of mouthwash is gone. Tongue scraping can be effective. But the problem is that those volatile compounds keep on rebuilding, thereby, continuing the cycle. The only way to stop it is to talk to your dentist. 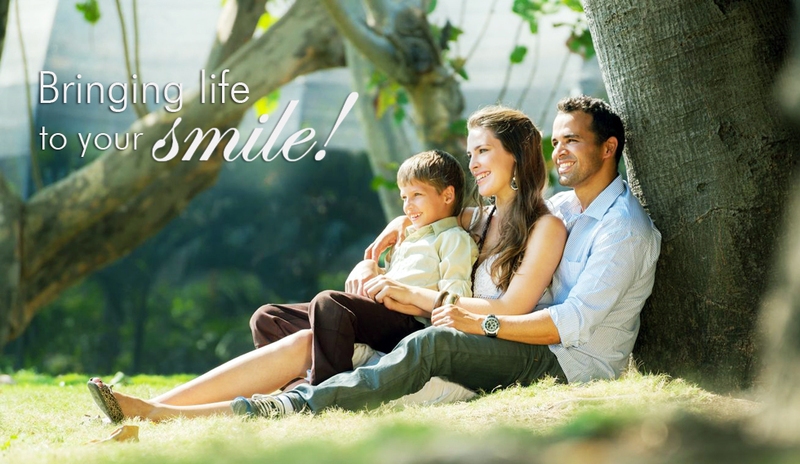 Our dental professionals at Heritage Trace Dental will analyze your condition. Besides those bacteria that cause bad breath, other health conditions can also lead to halitosis. It’s a medical condition that offers anaerobic bacteria a perfect place to reproduce. Once your dentist finds the cause of your dry mouth, your stinky breath may be cured. Some foods contain sulfur compounds, which are a food source of sulfur-producing bacteria in your mouth. These foods would include meat, onions, and garlic. Coffee and juices, too, can contribute to this condition. It can cause bacterial buildup on your teeth and gums. If you’re suffering from tooth decay or wearing poorly fitting dentures, you’re more likely to suffer from halitosis. Your dentist can give you a prescription of a mouthwash that’s designed to cure halitosis. This mouthwash contains chlorine dioxide. It’s effective in removing those bacteria that produce VSCs. The majority of patients with this condition have found that their bad breath has improved. A mouthwash with this ingredient can kill the bacteria and destroy the VSCs in your mouth. It also reduces protein breakdown so bacteria can no longer ferment it. It’s also ideal that you visit your dentist regularly for proper dental cleaning. This, too, can help get rid of foul odor in your mouth while preventing other future dental health problems.